Mrinal Dutt is inspired by Hindu mythology. 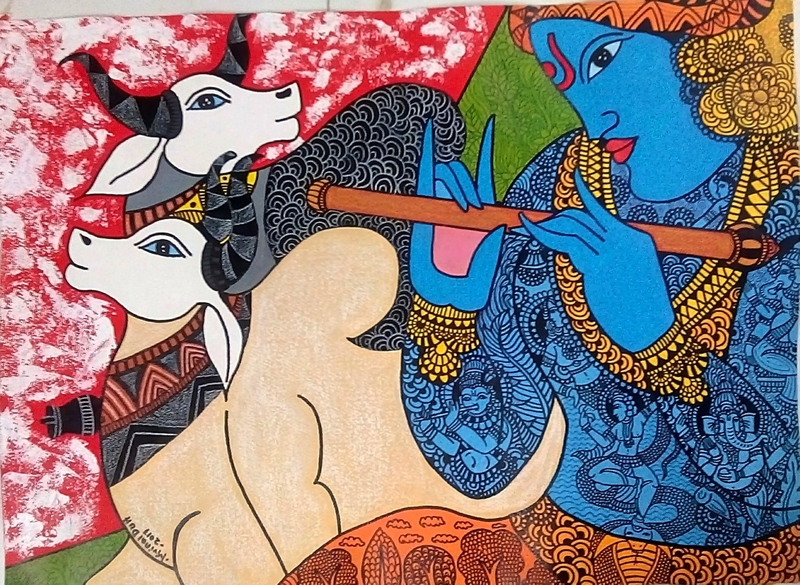 This painting captures figure of bulls and a popular Hindu deity lord Krishna who is revered as the almighty. Each figure comprises of traditional motifs, patterns and other Gods worshipped by people.